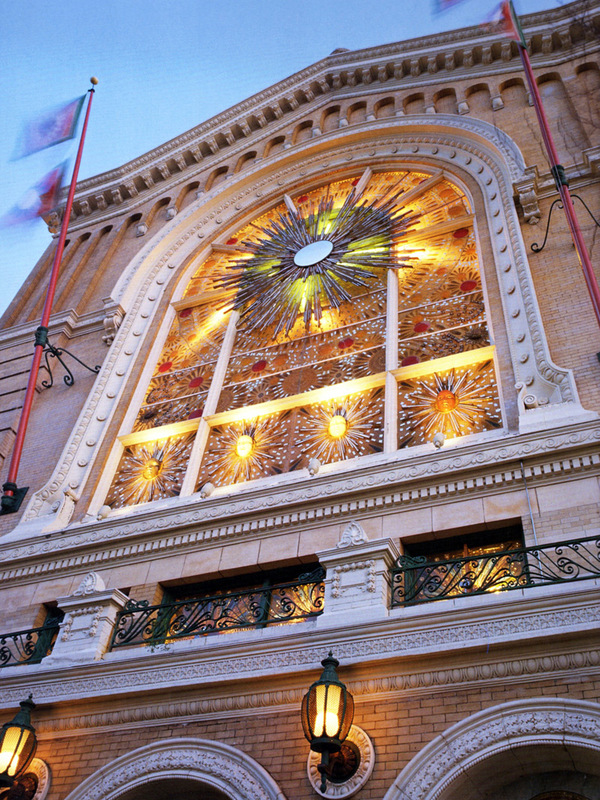 The first of the three, the Albert Pike Memorial Scottish Rite Temple, at 1859 Geary, was designed by eccentric architect Thomas Peterson Ross. A Chronicle article of May 29, 1904, included a sketch of Ross’s proposed building, which was three stories in yellow brick and terra cotta, with Romanesque revival influences. It was valued at $80,000. The building appears to have been complete on the 1905 Sanborn map. Named after Albert Pike, an attorney, writer, educator, soldier — and most of all a renowned Free Mason — the Masons continued to use the building until the mid-1960s. 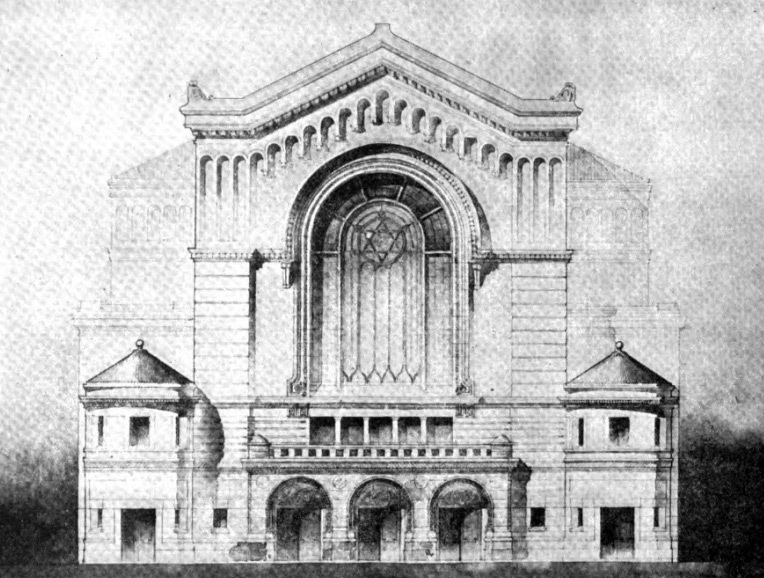 A drawing of Temple Beth Israel by architect William Curlett. Designed by well-known architect William Curlett, this second Geary temple was immediately adjacent to the Scottish Rite temple to the east. It was still under construction when the earthquake struck on April 18, 1906, and sustained significant damage. Ross’s Masonic temple was also structurally impaired. The side-by-side temples were both rebuilt after the 1906 earthquake and would soon get an entertaining neighbor. 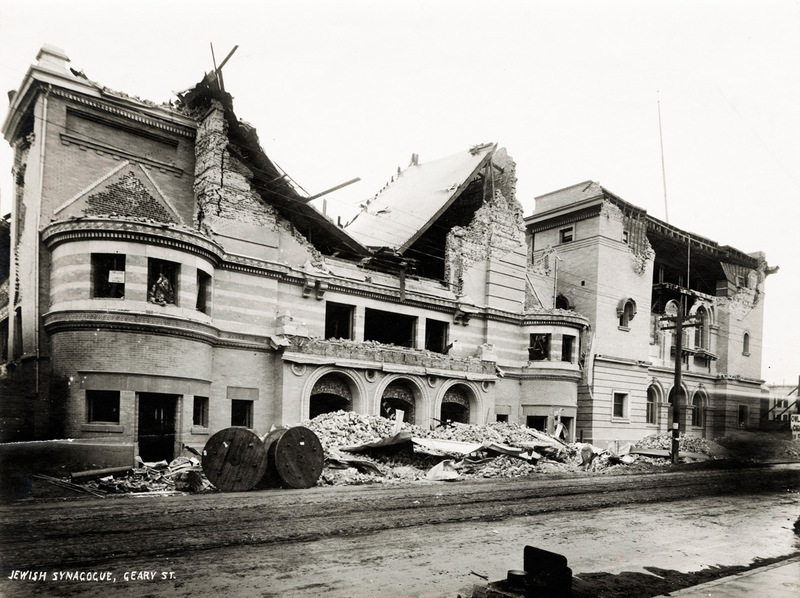 Beth Israel temple and the Scottish Rite temple were damaged in the 1906 earthquake. The last of the three temples erected in the 1800 block of Geary was the three-story, Romanesque Revival brick building at the southwest corner of Geary and Fillmore, built in 1912 as the Majestic Hall and Academy of Dancing. It was designed by Reid Brothers Architects for Emma Gates Butler, the widow of real estate developer Charles C. Butler, who among other things developed the first Cliff House. Butler died in June 1900 and left a sizable fortune to his widow, including several lots along Geary Street. 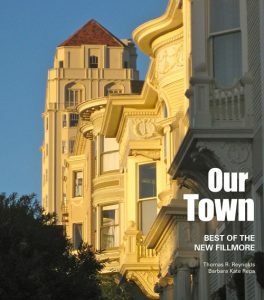 The Reid Brothers had designed the apartment building across the street, at 1550 Fillmore, on a lot Mrs. Butler also owned. A successful temple of entertainment, the Majestic’s name was changed in 1936 to the Ambassador Dance Hall. From 1939 to 1952 it operated as the Ambassador Roller Skating Rink. Then Charles Sullivan, one of San Francisco’s most successful African-American businessmen, began booking well-known musicians, including Ike and Tina Turner and James Brown, and re-branded the venue the Fillmore Auditorium. In December 1965, Sullivan allowed music and entertainment promoter Bill Graham to book a benefit for the San Francisco Mime Troupe, beginning an intense period of iconic performances in the upper-story venue that led to it becoming known as the temple of rock ’n’ roll. In 1969, the Temple Beth Israel congregation merged with Temple Judea, forming Congregation Beth Israel Judea. A Chronicle article of June 4, 1969, detailed a plan for the newly formed congregation to share a synagogue on Brotherhood Way, near Lake Merced, and for the earlier 1905 synagogue to be sold. Finding a buyer, however, proved difficult. The building was leased to Janos Kovacs in 1971, who attempted to convert it to a music venue, but ran into permitting issues. He eventually opened the House of Good, but it was a short-lived venture. In December 1974, Theater 1839, operated by the nonprofit Mission Rebels, hosted a grand opening featuring Ike and Tina Turner. Over the next few years, the venue hosted the likes of Muddy Waters, Jimmy “Fast Fingers” Dawkins and the New Riders of the Purple Sage. Jerry Garcia, sans the Grateful Dead, performed on July 29 and 30, 1977. For a few years, the Duquette Pavillion occupied the former Beth Israel temple. By the following year, the old synagogue was vacant again. In 1984, the building was purchased by Los Angeles designer and beloved eccentric Tony Duquette, who converted it into a pseudo-museum of his designs, with displays of tapestries, artwork, pottery, antiques and his own as well as other artists’ avant-garde creations and decorations. The building, and Duquette’s collection, were destroyed in a spectacular five-alarm fire on February 16, 1989, as Duquette stood grief-stricken on the sidewalk watching the inferno. An August 1970 Chronicle article detailed the use of the former Scottish Rite Temple by the Western Addition Youth (WAY) Club. The Masons had abandoned the building several years before. Having acquired the temple in 1969 for $166,000, the WAY Club was a skills and education center. City directory listings indicate the WAY Club maintained a presence until at least 1973. Sometime earlier in 1973, the Peoples Temple, which had its main location in Redwood Valley, near Ukiah, had begun to use the former Masonic lodge for its gatherings. 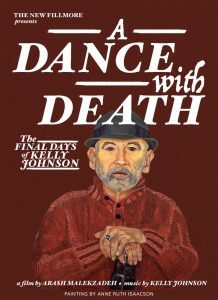 Jones, who reported receiving threats to his life, had taken a group of students and worshipers, who would have been sleeping in the building on that August night, up to Ukiah. They returned early in the morning to find fire trucks surrounding the building. Jones and his organization repaired the damage and continued to occupy the building. But as his organization began to unravel during investigations of fraud and concerns of child endangerment, he relocated the congregation to the remote South American country of Guyana. The building on Geary Boulevard essentially became a supply center for the Guyana outpost. 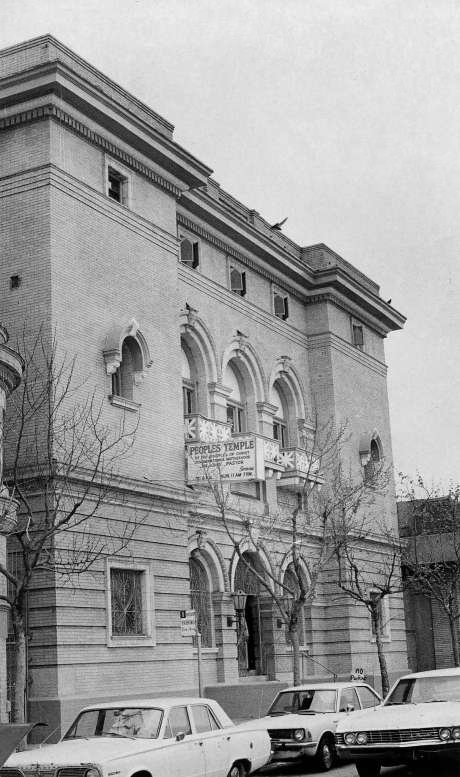 The Peoples Temple was located in the former Scottish Rite temple on Geary. After the tragic events of November 18, 1978, unfolded and more than 900 people — many of them former neighborhood residents — perished in a mass forced suicide, the building at 1859 Geary was shuttered. Several years later, the Korean Cultural Presbyterian Church purchased the building. After sustaining heavy damage during the October 17, 1989, earthquake, the former Masonic Temple and Peoples Temple was demolished. The Fillmore Auditorium on the second floor of 1805 Geary Boulevard today remains a showcase for rock bands, but it too has had its ups and downs. 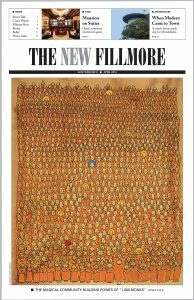 After reaching the pinnacle of the San Francisco music scene in 1968, the Fillmore ebbed and flowed under a few different guises. In the 1970s, the building also housed the Nation of Islam’s Mohammad’s Temple No. 26. Later, it became the Elite Club and Tavern, only to reemerge as a favored music venue in 1994, with a raucous performance by the Smashing Pumpkins. When Duquette’s eclectic pavilion burned in 1989, a sold-out Neville Brothers show at the adjacent Fillmore Auditorium came to a grinding halt as the building was evacuated. 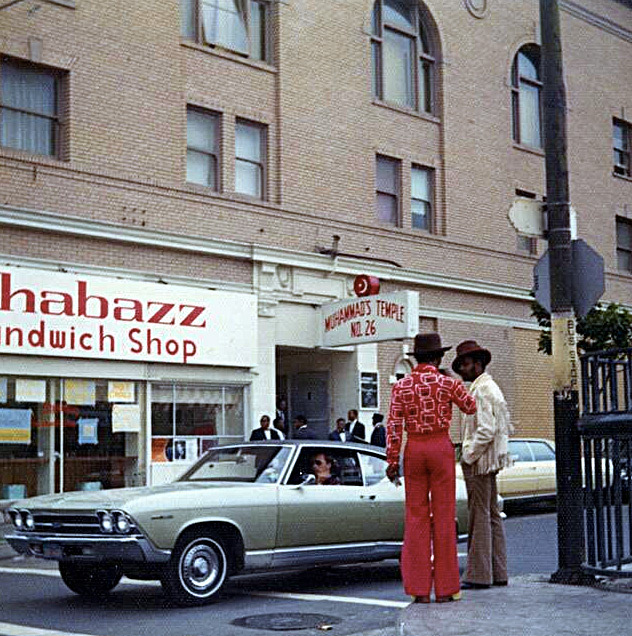 In the mid-70s, the Fillmore Auditorium was Muhammad’s Temple No. 26. 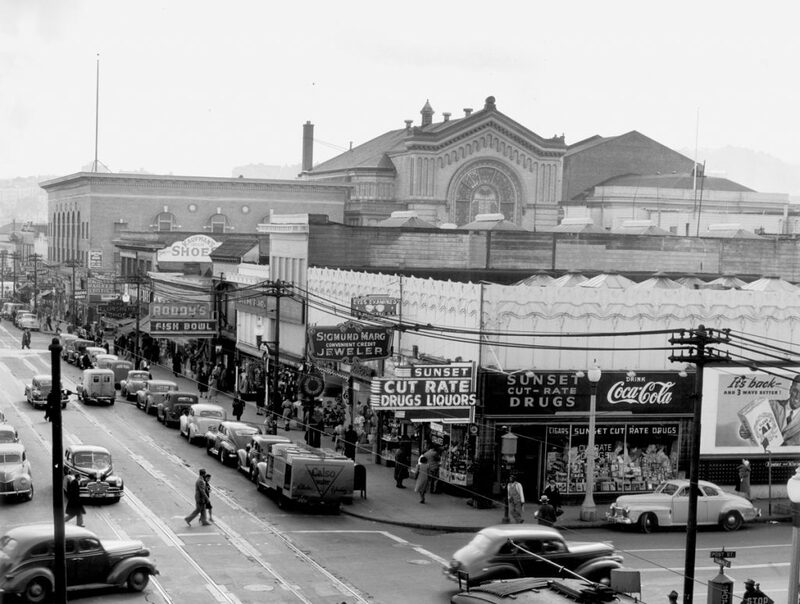 While the block of Geary between Fillmore and Steiner has seen its share of historic events, the Fillmore Auditorium is the lone enduring reminder of the neighborhood’s history.